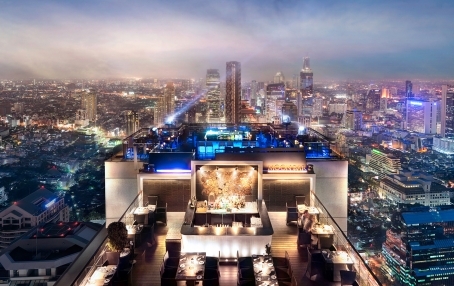 The highest al fresco restaurant and open-air bar in the Asia-Pacific grant views that simply take your breath away. 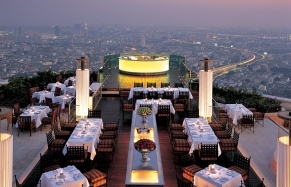 There is no better place in Bangkok for a romantic tête-à-tête, a sundowner… or an evening of gourmet food and stargazing. Towering over the business and embassy district, Banyan Tree is positioned as a very convenient launch pad for shopping, entertainment and sightseeing, but in the sprawling metropolis that is Bangkok, the hotel also stands out as a home to the best diner experience in the city. 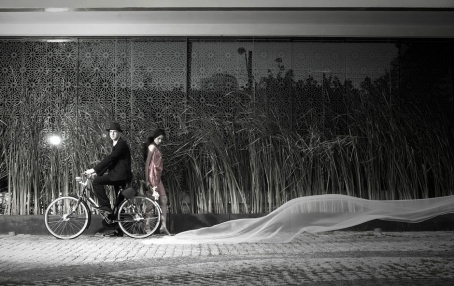 Sophisticated and stylish, this extraordinary venue is built on the rooftop of the Banyan Tree’s custom-built tower. The platform is shaped like a bow of an ocean faring ship, anchored 61 floors above the bustling city. The intoxicating 360° panorama steals the show, so it is easy to forget that the food at least matches the fantastic views. Innovative barbeque dishes include ‘Grilled Oysters with Parmesan Cheese’, ‘Grilled Scallops in a Shell with Toasted Hazelnut and Coriander Butter’ or ‘Red Mullet en Papillote with Thyme’. Champagne, wide selection of cocktails, wines-by-the-glass or non-alcoholic drinks at the Moon Bar are served in a sensual and romantic ambience. Both Vertigo and Moon Bar have a ‘Smart Casual’ dress code, requiring semi-formal attire: long trousers and closed shoes for gentlemen, no torn jeans, sleeveless tops, shorts or flip-flops for ladies and gents. 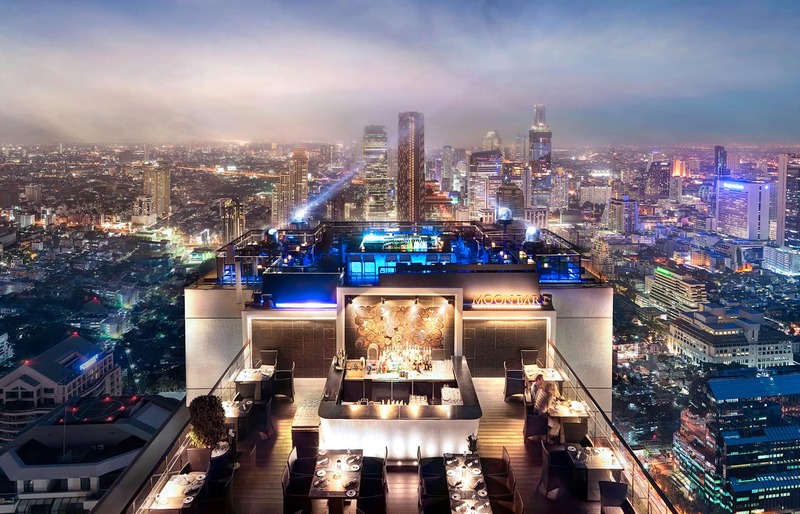 Banyan Tree Bangkok is widely regarded as a model luxury city hotel, mixing an exotic location with a world-class accomodation, hospitality, dining and entertainment. Located about an hour drive from the airport its 327 rooms welcome all connoisseurs of modern luxury, as well as any business traveller. 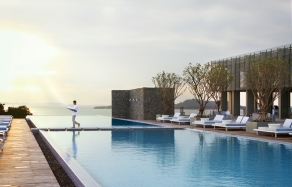 The hotel is a member of the pretigious Leading Hotels of The World.